I've decided that I will start a new series every now & again called K.I.S.S (keep it simple silly). These posts will focus on keeping outfit inspirations simple & easy to put together. Today I wanted to talk about one of my favorite color combinations...Black & Brown with Denim. This trifecta of colors is timeless & classic as well as chic. Again, easy to fall back on when inspiration is lacking. Of course the other place you should go when you're lacking inspiration is Pinterest, right?! So here are a few of my favorite Black, Brown & Denim pins from my boards. As you can see, your combinations of these 3 colors can be in the form anything from dresses, to shorts, to rompers, to jackets & chambrays, to footwear & accessories - which just makes this combo even more simple to put together. As always, I like you guys to know that I "walk the walk", so here's how I've worn this combo lately. This is the outfit I wore to an Anniversary dinner with my Husband. The dress is from Target (old), necklace is also Target (recent http://lifesapartydli.blogspot.com/2014/08/stylish-tuesday-65-mcmlxv-tee-giveaway.htmlpurchase but can't locate online) & shoes are Zigi Soho via DSW. That wraps up this post on K.I.S.S. Hope you can findhttp://www.becauseshannasaidso.com/2014/08/chambray-dress-embroidered-clutch-summer-outfit-idea.html some inspiration among these ideas! Kellie, I stop by here whenever I can - I just never have enough to comment everywhere, Anyway, that is the perfect trifecta. 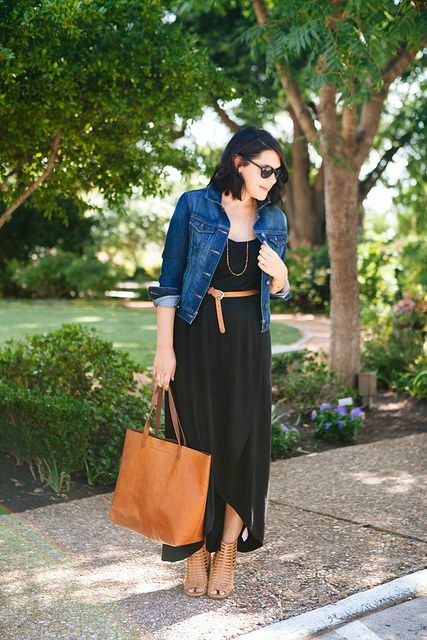 Love how you styled the black maxi dress. But that short LBD Look is my favorite. Love the shoes. Kellie! Is the anniversary pic recent? Your hair has grown so much! I am so jealous! You look amazing and I really do love the black/brown/denim combo I just always forget to do it! 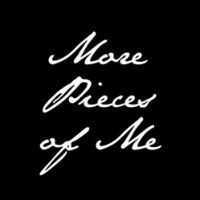 Love your inspiration posts - you are full of great style ideas. Glad to have you back! Love these go-to colors together! Really great looks and I am In Love with your black and cognac heels - Gorgeousness!